On a recent warm night, I went out on the back porch to look for an owl hooting close by. I couldn’t really find it, but I did enjoy sitting there listening to another owl answering in the distance. "What’s so interesting?" a male voice said. I jumped a foot in the air and looked around. Not seeing anyone I quickly headed for the back door. "Whoa, whoa, come back here! Just curious is all," said the voice. I looked everywhere and still couldn’t find where the sound was coming from. "Up here," the voice said impatiently. I looked up at the full moon and suddenly saw a face take shape. "You’re the…man in the moon?" I said. "Oh, for Pete’s sake," he said. "I’m not "in" the moon, I AM the moon." "What do I call you?" I asked. "Name’s Dave," he said. "Dave?" I said incredulously. "Short for David," he said. Just then my daughter, Annie, stepped outside. "Who’re you talking to, Mom?" she asked. "To the moon," I said excitedly. She looked up at the moon, then back at me and patted my head. "Okay," she said a little sadly. "Good night, Mom". "So, Dave, why can’t other people hear you?" I asked. "Because," he said. "They aren’t listening." "Here’s a question for you then," I said. "Why don’t we ever see your backside?" "I beg your pardon?" Dave said, chuckling to himself. "I don’t think I know you well enough." "You know what I mean," I said. "Well," said Dave. "The pull of your tides have locked me in place, so the periods of rotation on my axis and revolution around the earth are identical to yours. When this happens I show only my handsome face to earth. That’s the story I tell, anyway." "Do you think we could ever live on the moon?" I asked. "Well," Dave said. "You won’t find any water here". "Of course not, there isn’t water on any moon," I said impatiently. "Oh, contraire. Let me share with you some facts that I’m guessing you probably aren’t aware of," Dave said in a slightly condescending tone. "Jupiter’s moon, Europa, not only has water, but a warm ocean under that ice. Why? Its proximity to Jupiter and its other moons stresses it enough to keep its interior rocks molten. If you were to live on any moon that would be the one." "Hey," I said. "If aliens lived on Europa, would that make them Europeans?" I laughed until I fell over. "Very funny," Dave said dryly. "And, yes." "How many moons are there in our solar system, Dave? Do you know?" I inquired. "Of course, I do," he said. "At last count there were 68 of us moons. It’s a moving target, though. More are discovered all the time. Not too long ago, 12 more moons were discovered around Saturn. If you think about it moons are way more interesting than planets. Here’s a question for you—why do I look like I’m the exact same size as our sun?" "Because," I said slowly. "The distance from the earth to you is so much shorter than the distance from the earth to the sun?" "Yes," he said. "But, the interesting part is that I’m 1/400th the diameter of the sun and 1/400th as far from the earth making us the same size in the sky. No other planet/moon combination exists in our solar system. This makes for especially photogenic solar eclipses." "So, why do you call yourself "Dave"? None of the other moons have a name like that. They have much more sophisticated sounding names," I said, regretting saying that as soon as it came out. "Because I like the name "Dave"," he said. "It’s friendly sounding. Who wants to be called Ilo or Charon or Callisto? What kind of names are those, anyway?" "Those are the names of Greek personalities," I said knowledgably. "All the moons in our solar system are named after them except for the moons of Uranus. They were named after notable characters in British literature. Among its 27 moons are names like Ariel, Cordelia, Juliet, Puck and Ophelia. Although, the first person to discover a planet beyond the naked eye was going to name Uranus after his king. So, the list of our planets would have been Mercury, Venus, Earth, Mars, Jupiter, Saturn and George." "That’s pretty interesting," Dave said. "To you. But, do you know that what their real names are?" "What do you mean," I said. "Those are their real names." "Not really," Dave said. "Cordelia’s name is actually Sue. Puck’s is Dan. Really, can you blame him?" "Oh," I said. "And, how do you know this?" "We moons talk," he said. "Ok, well, here’s something you may not be aware of," I said smugly. "Do you know how you were originally formed?" "No," he said. "But, I’m afraid you’re going to tell me." "Yes, I am," I said. "After the formation of the sun and our planets, a lot of junk rained down on the earth, like rocks, ice balls and pebbles. One significant piece, probably the size of Mars, collided and glanced off the earth dislodging pieces of debris combining into what you are today." "Here’s something else I know about you," I continued, unstoppable now. "Have you ever heard of a trifecta? That’s when three events occur roughly at the same time. A super, blue, blood moon is what we experienced recently. 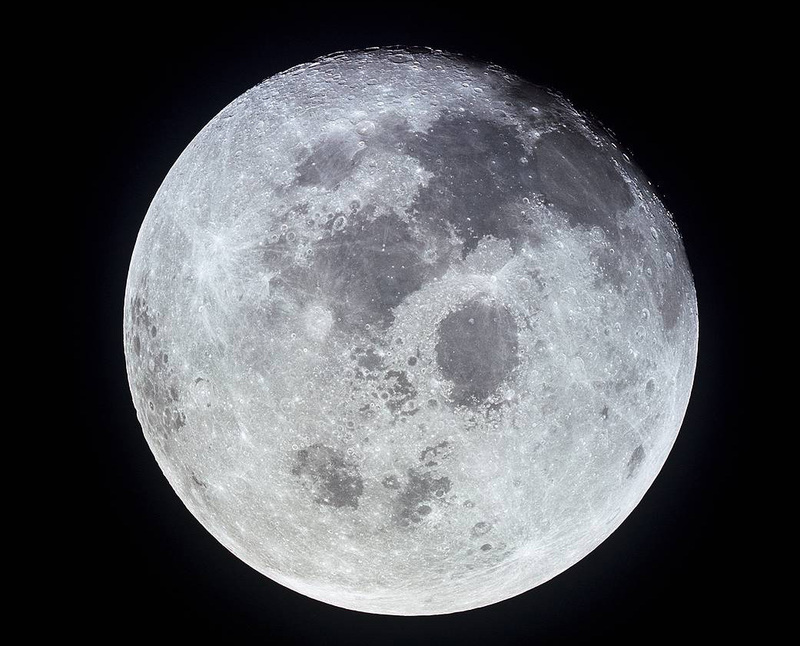 First, a super moon is when your orbit is closest to the earth, called the perigee, and you appear to be about 14% larger than normal. Second, a blue moon is when we see two full moons in the same month. Although, as it turns out the original meaning just meant something that is rare, but, what the heck, we’ll go with the current thought. Thirdly, a blood moon is the color reddish color you become during a total lunar eclipse. And, all this happened on the same night," I said, feeling pretty satisfied with my lunar knowledge. "Well," Dave said. "The first and third events are significant. The second doesn’t mean much to me and quite honestly, shouldn’t to you, either." "Let me show you a bifecta," Dave said. "A bifecta?" I said scratching my head. "I’ve never heard of that." Dave suddenly turned around. And, there it was. Two white circles mashed together at the center. Dave mooned me.